These magnetic bracelets were custom made to meet the highest quality standards. The magnetic pull of these cylinders is so strong that you will have a hard time separating them. You will be able to wear your magnetic bracelet 24h a day without being afraid to lose it. 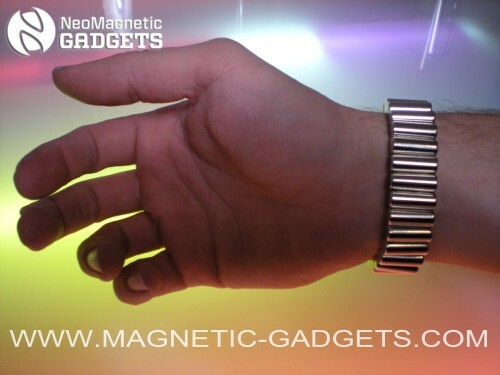 You will be amazed by how strong these magnets are, they can lift many times their own weight, they truly are incredible.This magnetic bracelets is also great for performing magic tricks such as making coins disappear.